His unique dark,minimal,and driving style has secured him residency in some of Amsterdam’s hottest techno nights including the infamous Techno Tuesday playing peak time slots for thousands of international fans amongst some of the best names Techno has to offer such as Mauro Picotto, Luigi Madonna, Spartaque, DJ Boris, SINISA TAMAMOVIC, Joran van Pol, Skober, Audiomatiques, Rob Hes, Steve Mulder and Arjun Vagale. 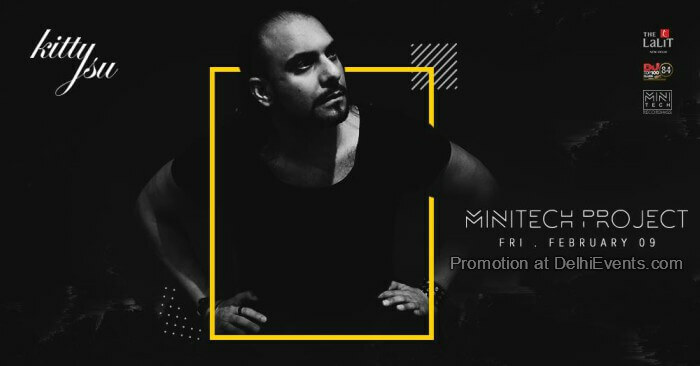 His productions are in high demand and are played and supported by some of the hottest names in the industry such as Joseph Capriati, Paco Osuna, Richie Hawtin, Karotte (Official Fanpage), Alex Mine, and many more. In the DJ booth, Minitech Project delivers a skillful spontaneous infusion of tracks combined with loops and independently produced elements with FX added to create some breathtaking experiences that never fail to excite and inspire audiences across the globe.